This is a guest post from Darwin of Darwin’s Finance. If you like what you see here, please consider subscribing to his RSS Feed. In life, we’re routinely faced with situations that require an immediate reaction. Consider the need to pay monthly bills and keep your head above water. Beyond these short-term reactions lie proactive decisions that provide longer-term benefits. For example, paying yourself first with just $50 extra per month to go directly into an IRA, 401(k), or other account is a proactive step that will lead to a better retirement. While such thinking results in obvious benefits, however, it typically requires delayed gratification. With budgets becoming increasingly tight for Americans, being proactive in just a few facets of your financial decision-making can provide you with enormous benefits and set yourself up for long-term financial success. I’ve highlighted below a few situations in which it pays to be proactive rather than reactive. 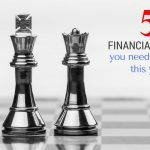 If you find yourself constantly reacting to financial situations, you may want to ask yourself why, and whether it’s time to get a little more proactive. Having an emergency fund prevents painful emergency fees, payday loans, credit card interest payments, and other non-essential payments that you wouldn’t otherwise incur. Nobody sets out in life saying, “I’m looking to pay exorbitant fees on debt for the rest of my life, ” but that’s the situation many people find themselves in without proper planning. Life happens, and the repercussions of living without a safety net can last for years. You risk bankruptcy or foreclosure, or at least being forced to sell off personal assets at a loss to make ends meet. If nothing else, having cash to fall back on will help you sleep better at night and should outweigh the perceived benefits of owning a high-end car or the latest HDTV technology. 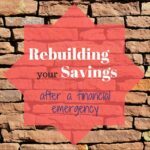 If you don’t have an emergency fund, think about what it would take to build one. The near-term sacrifices will be worth it in the long-term. Living paycheck-to-paycheck carries thousands of dollars per year in hidden costs. Without sufficient cash on hand, you lose out on things like early payment discounts on taxes, insurance, etc. You’ll also wind up facing unnecessary overdraft fees when your accounting is off by as little as $1. Beyond this, you’ll be unable to take advantage of one-time opportunities where having cash on hand can save you money (see below). 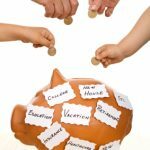 If you can’t stand budgeting, at least consider implementing a reverse budget to avoid these problems. Americans have been presented with numerous one-time opportunities to exploit situations created by the financial crisis, but only those with liquid cash and/or good credit have been able to take advantage of them. Examples abound, including the homebuyer tax credit, cash for clunkers, and the opportunity to buy into the stock market when investor capitulation sent shares down by as much as 50% (70% for Emerging Markets). An upcoming opportunity is the cash for appliances program, which is being rolled out state-by-state. This program will allow you to replace your aging appliances with a more energy efficient model at a substantial discount. You will also realized the long-term benefit of decreased energy costs. Perhaps your existing appliance are already reaching the end of their useful life. If you combine the government’s incentive program with adequate cash on hand and a bit of research, you can realize a very strong return on your investment in 2010. People sometimes take the easy route instead of the smart route at the expense of a few dollars here, a few dollars there. This translates into hundreds, if not thousands of dollars per year in leakage from your after-tax budget. A simple example involves buying food and drinks at the movie theater instead of taking them with you. Here’s another example: I went to a Borders and browsed the store for books for my wife last week. I found several that I knew she’d love, but instead of just buying the books on the spot, I whipped out my iPhone and checked out the prices at Amazon. Even with the in-store “discounts” and club card, the savings at Amazon were over 30%. By planning ahead and allowing time for shipping, I saved a quick $30 on Christmas and personal book purchases. Finally, we shop at Costco several times per year and buy in bulk instead of paying significantly more per unit at a grocery store. While shopping at Costco takes a bit more planning, and the up-front costs are higher, we save a ton of money. Surely, you encounter these sorts of situations daily. Each time you’re making a purchase, think about whether you could’ve done better with a bit of advance planning. Seeking out a high return-on-investment (ROI) is a smart way to improve your bottom line. 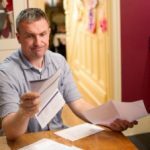 There are some very simple and inexpensive ways to reduce utility expenses at home that many people don’t consider. For example, while buying conventional light bulbs is cheaper than CFL bulbs, there’s no question that you save money with CFL bulbs over the long term. Other examples include reducing your utility costs by switching to a low-flow shower head, planting shade trees around your house, and investing in an energy audit for your home. Reacting to market news by altering your investment strategies has wreaked havoc on retirement funds of millions of Americans. While Western society has hundreds of years of historical market data indicating that over long periods of time, equities outperform bonds and cash, millions of investors sold out of stocks last winter/spring, effectively locking in their losses. They just couldn’t take the continued declines and bad news. Unfortunately, those individuals that reacted to recent market performance and deviated from a long-term investment strategy missed out on a huge rally. In contrast, investors that stayed the course are now seeing their 401(k) balances at or above the pre-crash levels (Vanguard notes that 60% of 401(k) accounts now have more money in their accounts than prior to the start of the crash). While cynics will point out that monthly investments and company matches continued along the way, the point is that by sticking to the same long term strategy, these 60% are in pretty good shape compared to those who panicked and reacted to poor market performance by jumping ship. No responsible investment adviser would advocate 0% equities in a retirement account with a 20+ year time horizon, but I have colleagues and friends in their 30s who completely sold out of stocks earlier this year and said they’re never coming back. Their investment portfolios will almost certainly lag behind inflation, meaning their money will be shrinking. As you can see, there are many situations in which we’ll be forced to react if we haven’t gone to the trouble of planning for the future. Yes, being proactive and planning ahead requires short-term sacrifices, but the long-term benefits make it all worthwhile. Do you have additional examples of being proactive vs. reactive in your financial life? If so, please share them in the comments. Hey very cool blog!! Guy .. Excellent .. Amazing . I’d really love to be a part of community where I can get comments from other knowledgeable individuals that share the same interest. If you have any recommendations, please let me know. Thank you! Thanks for finally talking about >Reactive vs.
I’ve reviewed the vanguard statistics, and don’t disagree with them…and I can personally attest to Darwin’s comment above. We are in our early 30’s and we’ve stayed the course on retirement throughout the last couple of years (rebalancing as necessary, but not changing the percentage goals, and certainly not bailing on equities at the bottom, as many others did). It hurt to look at the losses in our portfolios this time last year – we lost over 20K 🙁 But we kept contributing. Those constant contributions, especially the ones made at the bottom of the market, have earned a huge return this year. The returns on those contributions, added to the returns on (what was left of) the original amounts in the portfolios, helped the portfolios to surpass their prior highs several months ago. Great… and the same applies to taking your investments into your hands. Reactive takes a look at things at year end… active and proactive rebalances as needed (not once a year). Great post. I really like the way you think about finance. The first place I started when I tried to get my financial life in order was to track every penny I spent for 2 months. Then I studied the list of things I spent money on and decided what was important and what was not. The money I saved from the reduced spending went into a savings account. Within 1 year I paid cash for my next car and continued to make car payments to my savings account. I think getting proactive with what is really important in your life gets the financial ball rolling in the correct direction. @Darwin I agree with your comments, it was a long post and I picked one thing I didn’t like. Vanguard spins things in ways that I think aren’t quite right. Of course, the better the market does, the more people will want to invest, so they make it sound like everything is ok.
I’m also a huge proponent of dollar cost averaging, and I think it’s silly to take your money out when things are going terribly. That’s the time to invest, but people don’t seem to be able to do it. I’m a huge believer in dollar cost averaging. Thanks for a really interesting post! Being proactive with finances can save a lot of stress down the road if anything should happen or there is a purchase you are saving for. Makes things easier down the road. I agree that from a pure numerical standpoint, with the market still well below its previous peak, an appreciable portion of the gains have been through actual contributions, BUT by dollar cost averaging in during the prior year at such low levels and not jumping ship at the worst possible time, patient/consistent investors are in much better shape than those who panicked and deviated from their prior investment strategy. I had indicated in the post that much of the gain back was from contributions, but facts are facts and this is what Vanguard is reporting – many of their investors are back to even. However, the intent of the 401K is a long term retirement vehicle, and by jumping out at the bottom and they eventually deciding to go back into equities again when we’re 65% up from the bottom, they will have missed massive gains and traded them for a 1% return in income assets. Personally, my account is a few thousand higher than its prior highs, but it’s all a function of what your peak dollar amount was and what your % investment is each month. I’m in my early 30’s so I didn’t have $2 Million in there. For a 59 year old executive with a 7-figure account that was 100% equities, even if they’re maxing out their monthly contributions, they will still be well off their prior highs. I happen to agree with Daniel. I went back to grad school in the Fall of 2007, and managed to make some contributions into early 2008. I’ve left my contributions where they are, and will (finally) be getting back into the market next month — and let me tell you, my account is nowhere close to break-even — try closer to a 25% loss from its peak. That includes contributions from the past 18 months, however. Many of these people have earned less than 0% on their money in the past year and a half. These contributions are a misleading statistic that say more about people’s saving strategies than about the health of the market. For example, if I had $100,000, lost 40% in the crash, then gained 33% back, but in that time, contributed $20,000, I’d be back to even. However, my return on investment would still be -20%. Being proactive means getting adequate life insurance for your family. Not being insured is reactive and can sink your financial ship.